So quirky and cool, love them both! What a fun card with those cute Penguins aligned like a tree. And your cas-card is just lovely. I love your penguin tree! They are so cute and cozy! Super minimalist and adorable! Just love the little bird <3. Beautiful creations :) I love the cute penguins and the birdie card is perfectly CAS! Making a tree out of penquins = adorable! I am such a softie for little birds. Love your cards! So cute! I'm obsessed with penguins right now! Both cards are cute! I love the penguins in the shape of a tree. Great cards....absolutely love the penguins! Cheers. So clever and fun, beautiful cards! I love the penguin tree and the sweet lil’ birthday bird is adorable too. Great job putting the Penguins in the shape of a tree!! Your penguins have certainly warmed my heart; so sweet in their cozy scarves. Your little birthday bird is darling as the star-of-the-stage! 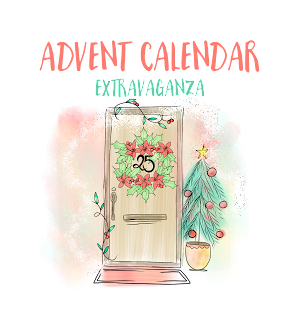 Fabulous showcases of this new-to-me company! Mood after visiting your blog: super happy! Love those little green hats on the penguins! Cute card! Adorable! Love the penguin pyramid. Great cards and love the penguins! both cards so cute - glad you are back to stamping Joan! These are such great clean and simple cards! Can't wait to try these! What a neat and fun idea!! The penguins are really cute!! Love the adorable penguins 🐧 and the Birthday Card is super tweet! TFS! Sweet cards! Love the penguin Christmas tree design! Love both your cards Joan! I like your simple style! It catches the eye! Those penguins look like they need warm hugs too. Great CAS cards. Such sweet cards and adorable images! Fun design with all those cute penguins. Glad to see you a part of this extravaganza!Stay well and happy! Very cute cards! 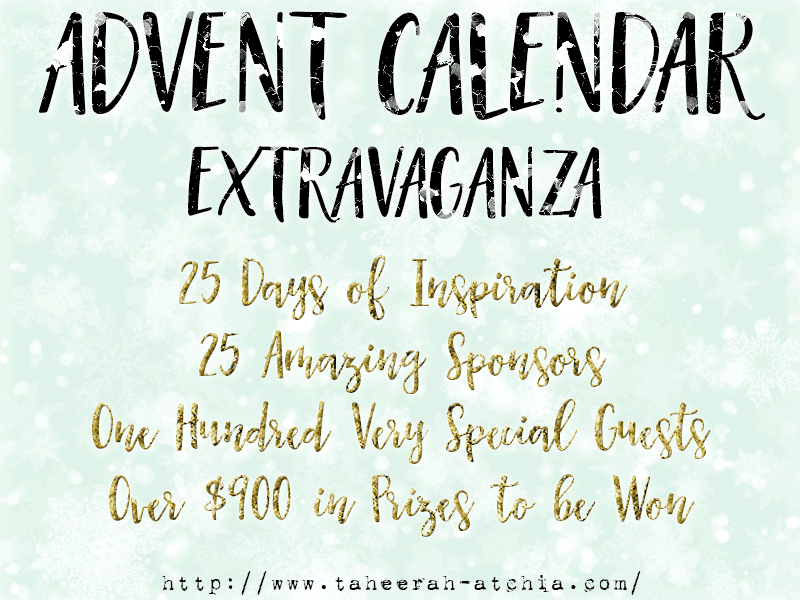 Thanks for participating in this fun event!! These are beautiful cards. I wasn't familiar with Flora and Fauna before today, but I really like how they do birds. I would definitely cuddle with those penguins, and the little happy birthday bird is adorable. And what a good idea to adhere it slightly askew to give it just a little more interest. I'm always impressed when people can make that look intentional; mine always just look confused when I try it. 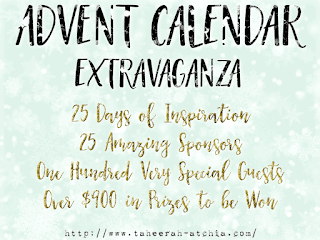 Thanks for the inspiration and participating in Taheerah's advent calendar! Love the penguin tree, so cute!! I had not heard of this company before. Thank you for the introduction. I love your colors, pattern, and designs. Just love them. Happy Holidays! I LOVE these cards!! Super cute penguin tree!!! Those cards are both sweet and simple - sure to bring a smile! Both are lovely! The little Christmas tree of penguins is quirky and sweet. So cute! 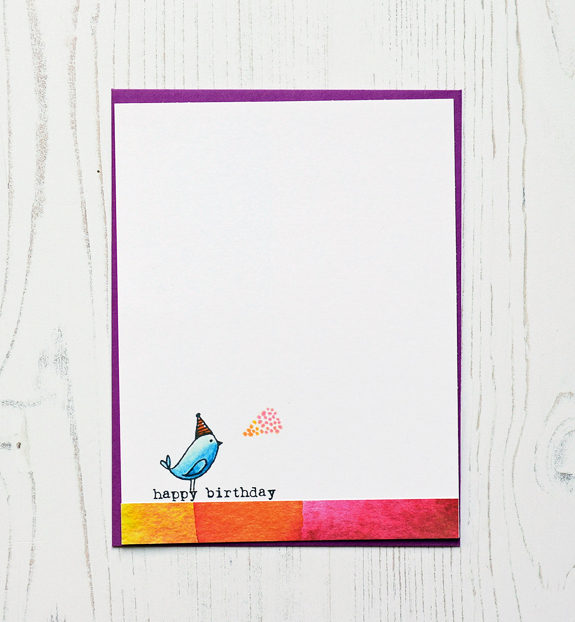 Love the birdie bd card for a quickie to make! Super cute cards!! Especially love the penguin tree!! I love the penguin pyramid! Those little penguins are adorable! Fun and happy penquin card, but Oh so cute Birthday card !! Love the tree of penguins. Your penguin pyramid is just darling! And that sweet little bird on the birthday card is so cute. Love the penguin tree, Joan!! The addition of the sentiment is so perfectly placed. Hope you are doing well and recovering nicely from your surgery. Two adorable cards! I love Flora and Fauna stamps! I hope that you are making a good recovery from your surgery. They both are lovely and sweet cards. I hope you are getting well quickly! Cuddles the penguin is a happy way to make a tree! Very cute cards, simple but colorful! Both of these cards look like they were a joy to make! Eeeep! Love that pyramid penguin card. So cute. Great cards! Love the simplicity of them! Very cute Christmas tree made of penguins...fun and clean Bday card. Both of your cards are lovely. the birdie birthday card is neat - nice to see something other than a Christmas card at this time of the year. Love the penguins!! I also love the simplicity of the birthday card! Your cards are beautiful! I Love birds, especially penguins. And your birthday card is a very cool design with that color strip at the bottom. Thanks! both of your cards are VERY CUTE! Love both of them! So glad to see you back to stamping, Joan! I love both CAS designs and the fun Flora and Fauna images. Very happy. These are adorable. Yay for you stamping again! These are FABulous. These are so cute! The penguin tree is so clever. Love the colourful yet clean design of the birdie card. CAS and cute and fun! perfect! Those penguins are delicious. Have just loved the simplicity of design in these cards. Need to keep this company in mind. Super cute cards - love the penguins and the bird. Very cute cards! Love the darling penguins all cuddled up in their cold weather gear. Your cards are fabulous--both of them! Your two cards are so cute! The way you stacked the penguins is a great idea and the little Birthday bird is so cute. Thank you so much for sharing. Very cute cards. Love your design. So stylish - simple yet eautifully executed . Love the little birdy birthday card! So simple yet beautiful! Thanks for sharing! Clever designs and so effective! These cards put a big smile on my face. Thanks for participating in the Hop. Such cute cards! Love your stacked penguin tree and the simple birthday card! Love both the cards. The stacked penguins are adorable. And I love the simplicity of the birthday card. both cards are super fun! It's wonderful to see you stamping, Joan, and double wonderful to see these two clever and cute cards! You make those penguins look so easy and they sure do fill up the card with adorableness and fun! Adorable cards! Love the “tree” of penguins and pop of color on the bird card. those penguins are so cute, I love how you stacked them up like a tree! These cards are really cute! I love the little tower of penguins! These are adorable penguins in the configuration of a Christmas tree!! How creative!! And that sweet little bird wishing a Happy Birthday is just adorable. Love both cards, Joan! They are so adorable and sweet. 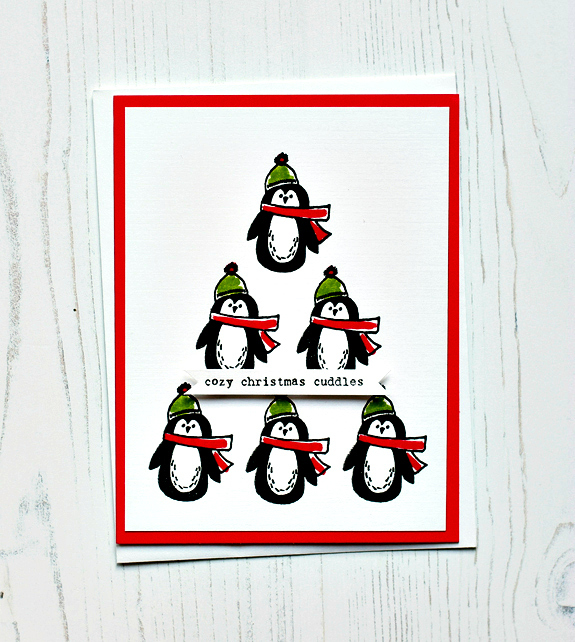 A penguin Christmas tree, what an adorable idea and a beautiful card !!!! Cute cards - love love love the penguins! TFS Joan! Adorable penguins and bird. Thanks for sharing your inspiration. Adorable cards -- I adore the penguin one! Sweet cards! I especially like the penguin card! Sharp! Happy holidays! Love your penguin tree & the cute bird card is wonderful! Both cards are so cute. Cute Cards. Thank you for sharing. Sweet cards - love the penguin tree. Really cute cards. Thank you for sharing. The penguins are so cute and I also love the cute birdie card. 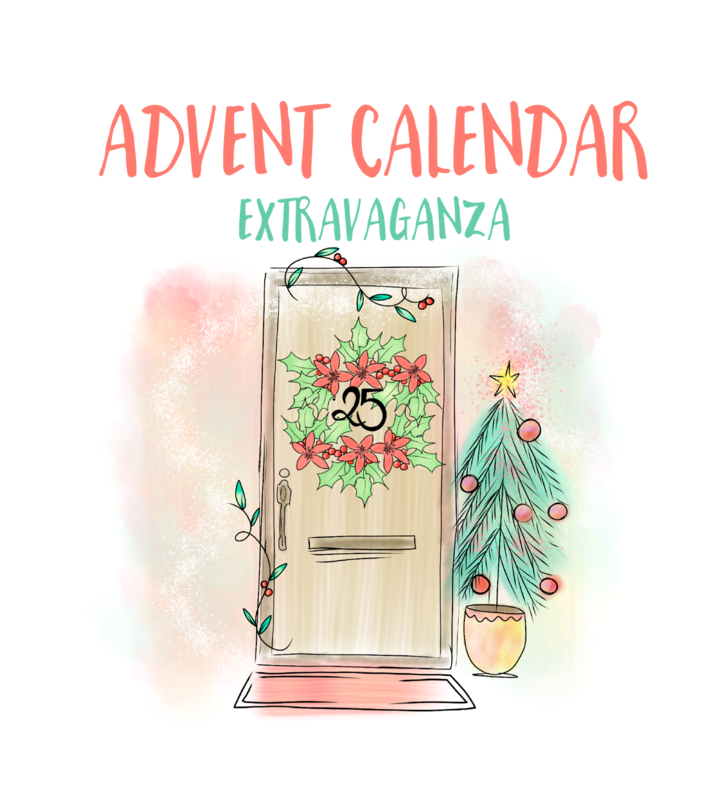 I love the idea of your Penguin Christmas tree! and the sweet birdie is awesome! Love your cute cards. They are my favorite of all the whimsical cards I have seen on this hop. Gah! I just love these CAS designs! Adorable cards, I love the penguin tree! Talk about CUTE! Love those penguins! Sweet birdies!!!! The penguins are so cute! oh what fun designs. luv the simplicity of the bird card! These animals are sprinkled with cuteness. Great cards. Love the penguins such a cute idea! Great cards! A penguin tree and a chirpy little bird! What's not to LOVE?? Oh my goodness...oh my goodness!!! These are TOOOOO CUTE!!!!!! Really stinkin' adorable!! Love it. fabulous clean and simple designs!! I am totally in love with your penguin card! So clever!! My nephew loves penguins. He has always loved penguins ever since he saw The Penguins of Madagascar. He would love this card. I love it too. 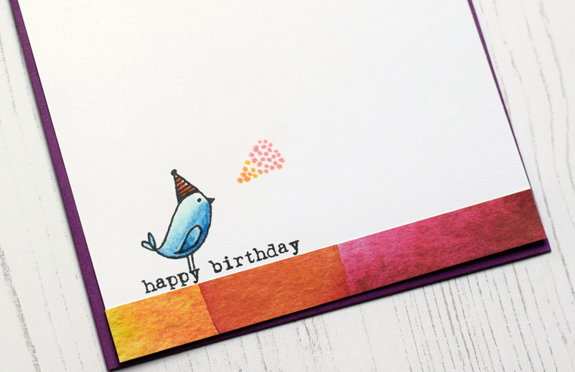 Your second card, the birthday card, is so simple and colorful on the bottom of the card. It's something I never would have thought to do but I'd like to try it. I don't have a bird stamp like that but I could do something similar. Thanks for showing us your cute card and for giving us the chance to win something. Off to the next stop on the Calender. The penguins are cute, but that birthday card... I wish I could do CAS cards as lovely! A pyramid of penguins! Too fun! I love the penguin-filed tree. Super fun design! The sentiment is perfect. Note to self: don't be afraid of some white space! The birthday card proves it, although there is still a fair amount on the Christmas card. Sometimes simple is all it needs! Thank you so much. Your cards are at the top of my list of things to copy!!! Penguins were a favorite of my cousin. I lost her this year so I think I should try this for her daughter. Love your penguin "tree" and the simplicity of your b'day card...sweet birdie! More cute penguins! Your little birdy is cute too. I like the clean and simple look of your cards! So much fun! I absolutely adore the perch you created for your little bird to sit on. Clean, simple and fresh perfection on the two cards! I love your cute and playful cards. Glad that stamping improved you mood. The "tree" of penguins is adorable. I'd be happy after making that card, as well. I love your cards! Such a clean, graphic style! That penguin tree rocks! Great card, so clean and simple and striking. LOVE THOSE LITTE TUXEDO GUYS! Oh my gosh, these cards are too precious!! Love them! What a great card with those fabulous Penguins aligned like a tree. I love your little birdie! It's a penguin pyramid; er, tree! I like it!! Love both of your cards! So adorable! Cute cards. Penguins are a favorite in our house. Sweet CAS cards! love the little tweetie! Your little critters are adorable! Love your penguin tree. So festive. Your CAS birthday card is so much fun. I wish I had the courage to just go simple. It really is effective. Thanks for sharing! I love the stack of pengies, perfectly quirky! Adorable cards, I love the penguin tree. The penguins are adorable and love the sentiment. Great card. Such fun cards! Both are simple and adorable! What a wonderful Christmas sentiment. The penguins are cute but that other bird is adorable! You've left me speechless. Love these. You are seriously the queen of CAS. I can never do it. All that white space makes me nervous but you embrace it! Two fabulous cards!!! Love the arrangement of the penguins! Thanks for the inspiration! I love penguins and this penguin tree is simply adorable. Also, the little bird card is right up my alley, CAS!! Joan, the layout of your darling little penguins is perfect and love the cuddles sentiment. That little birdie birthday card is very cute also. Happy New Year and I'm sure your thrilled your surgery is behind you! Penguin, my favorite animal ever! Thank you for showcasing them, yay!